More book reviews can be found here. I’ve always loved fairy tale retellings, so much so that I write them myself and infuse the all to familiar tropes in all of my works both fanfiction and original. 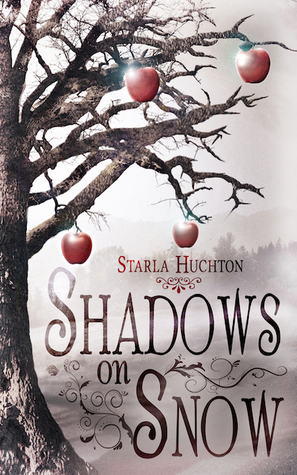 Starla Huchton has taken it upon herself to delve into terrain fairly well trodden in order to present the old in another new way. Since this is the first of her stories I’ve read, I’m going off of assumption here, but it appears as though what she’s flipping is the gender of the participants. The seven dwarfs are now seven sisters (who still manage to be princesses in their own right), the evil queen is an evil king, and Snow White is an ebon-haired, snow skinned prince named Leo who is a kind capable ruler that any man would be willing to follow and many a princess would want to marry, but he’s not the main character; the Rae is. Rae and her sisters, six dispossessed princesses, have been working to reclaim what they once had, endowed with abilities that no mere “dwarf” could boast. I’d be hard-pressed to either remember all of their names let alone powers, but Rae (who is telling the tale) has the ability to cast glamours/illusions, which is convenient when you’re doing reconnaissance in enemy territory, and you need to play a convincing stable boy. The youngest princess also has darkness in her past not of her own doing, and Huchton does a decent job portraying the aftermath and undeserved mental consequences of sexual assault where the mere thought of just wearing a dress is triggering. Her introduction to the prince comes via the stables between the buffer of horses, and it could be because she and Leo initially meet man to “man,” where Rae sees his merit there, as a solid foundation to build a friendship albeit reluctant. Shadows on Snow follows all of the beat points of Snow White while still maintaining some measure of suspense. We know we’re going to get a poisoned apple followed by a glass coffin, and I was still impressed with the presentation of the magic mirror. While the story didn’t do anything new, it was still beautifully written with individual, if sadly forgettable, characters in the seven sisters who would risk anything for repossession, as Rae braves her own past and heart for the chance at happiness. That’s my one complaint with it. Besides Rae and her powers, I don’t really even remember the names of her sisters or what they can do. It’s difficult for an author to make all the characters engaging so I don’t really fault Huchton on it. I am going to read the next book in the series (which is why I added this in the first place). Hopefully, that issue won’t come up again. A brilliant way to retell the classics! Neat idea, but I don’t have time for forgettable characters 🙂 Pass for me. I enjoyed this review! Nope, there are WAY too many books with memorable characters out there! It was a pretty quick read, and I’m probably going to read the next, but it’s not something I’m super hype about. Sounds like an interesting idea. I’ve never been that into fairy tale retellings though. Once in a great while, one will peak my interest enough to pick it up. It was a quick read, but besides Rae the main character, everyone else was pretty forgettable. I love alternate takes on fairy tales so maybe I’ll add this to my never ending want to read list. It was a fairly quick read, too!